I can’t believe it’s time to start another week! The days seem to fly by and being Sunday it’s time to get all my ducks-in-a-row (or apples?) My little one is with me on Sundays so we squeeze as much time as we can get out together with grocery shopping our weekly ritual. 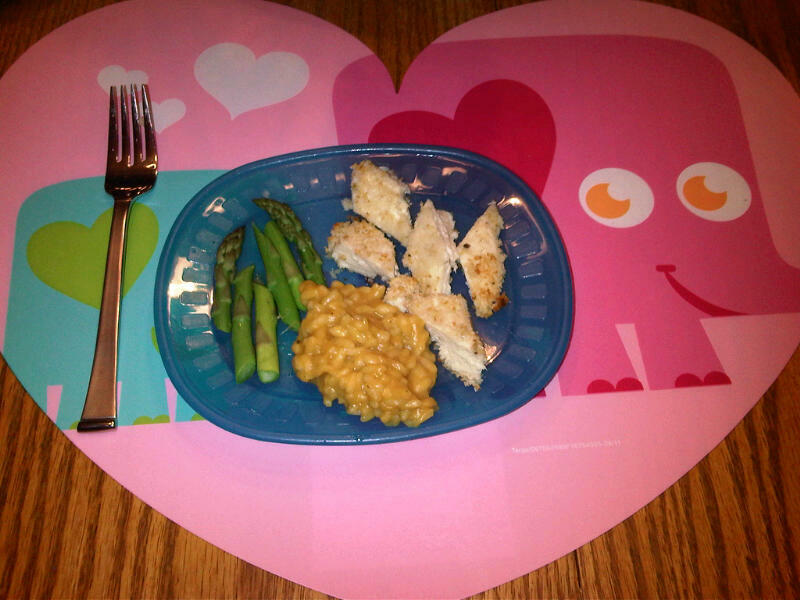 I plan meals, including her lunches, for the 7 days so that there’s no need to hit the store on the way home from work and school. We spend enough time in the car and like to get home to our silly weimaraner, Bentley. She’s a great produce picker, well, until she throws them in the cart, lol (I see basket ball in her future!) I believe it’s a good thing to include her, she feels she’s a part of the preparation, as well as knows what food looks like unprepared and thus she’s more likely to eat it (which is what we maman’s are going for!) We grow a few veggies in the summer and frequent the farmer’s market when open, as that’s even better. My Type A-ness with this started when I was a pharmacy resident and then married. I felt it was important to eat and eat well so, like now, I’d plan the meals and then shop for the ingredients. Being single I try and stick to one dish on Sundays so the left-overs will filter through the week as lunches or a quick dinner. There are a few requirements for the dish as it either needs to be good enough to eat a few times as prepared, versatile so that I can eat it a myriad of ways (ie not get tired of the same-old-same-old) or finally, if possible, call for wine so that I can sample while I cook. Here’s one recipe that even though it takes slightly more time than cooking rice, it’s worth the extra effort. Now, pour yourself a glass of wine, put on a mellow tune you can just ease into and get ready to make…Butternut Squash Risotto! 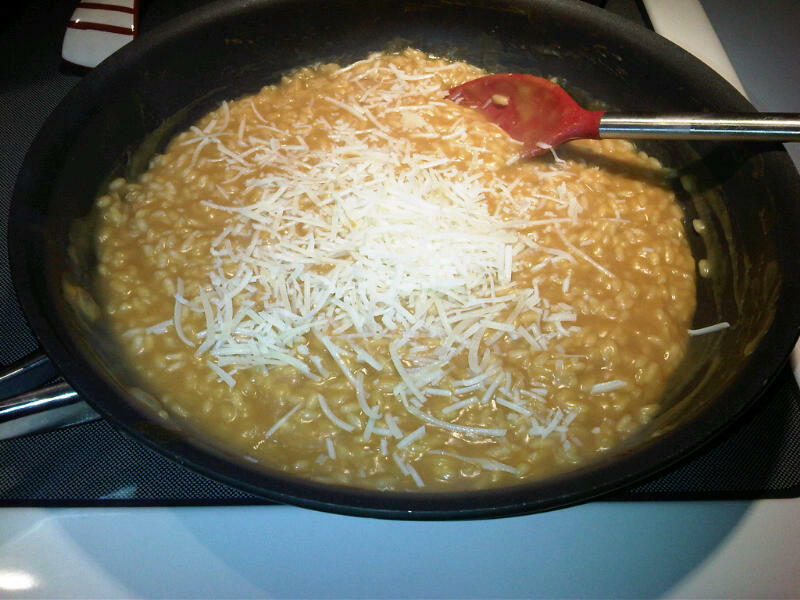 I have to admit the first time I made risotto I had just had a baby. Yes, it’s true. She was about 3 weeks old and her father and I had purchased an assortment of assembled frozen homemade meals from a local gourmet caterer. By assembled I mean that you had to cook them, however, included were step-by-step instructions with everything portioned out in various bags or petite containers (super cute too!). Mint Pesto Pea Risotto was my first attempt and it was delicious. 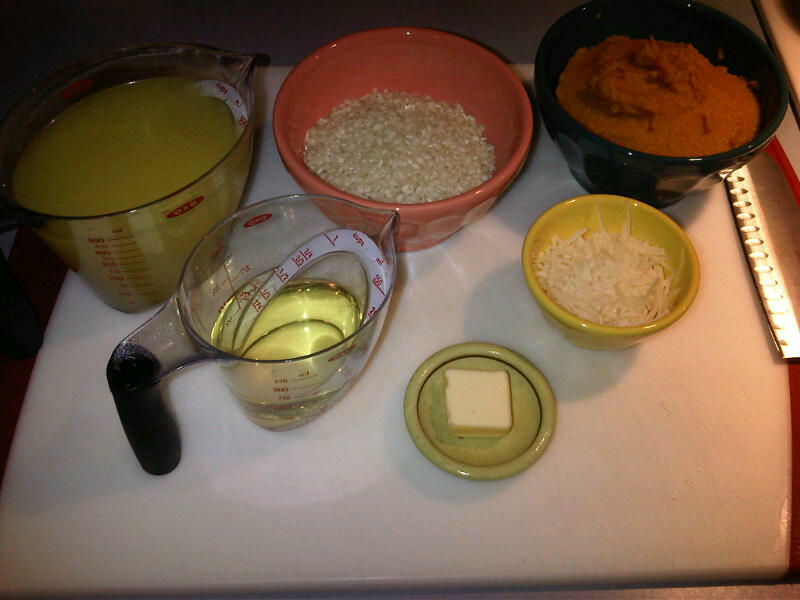 I’ve since made various renditions of risotto but find this butternut squash my favorite. So being Super Bowl Sunday, by-the-way hello David Beckham in his underwear commercial *sigh*, I’m going to keep this short and sweet as I’m tired and ready to tuck myself into bed as 5am will come too soon for my date with the elliptical. 1. In a medium heavy-bottom saucepan, melt butter over medium heat. Add squash; season with salt and pepper. Cook, stirring often, until edges soften, 6 to 8 minutes. 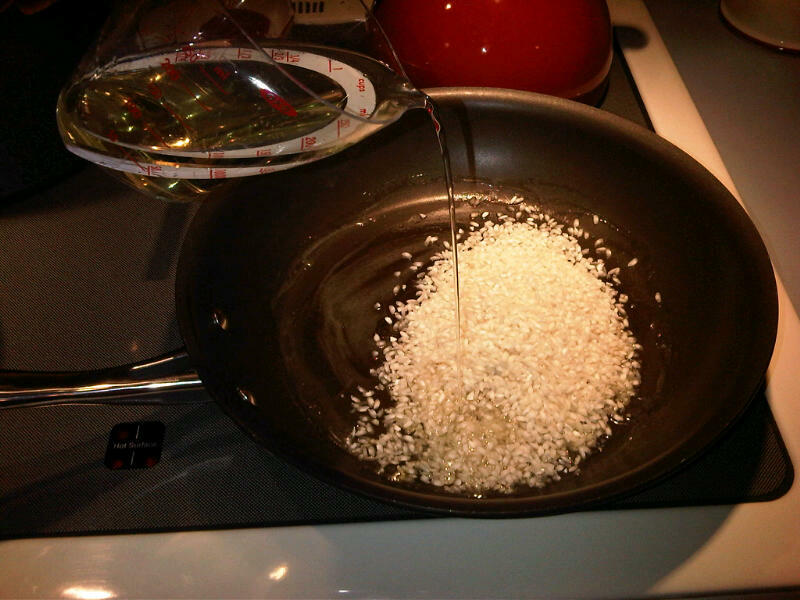 Adding the wine to the arborio rice. 2. Add rice; stir to coat. Add wine; cook until almost all liquid has evaporated, 1 to 2 minutes. 3. Reduce heat to medium-low; add 1/2 cup hot broth mixture. Cook, stirring, until almost all liquid is absorbed. Add remaining broth mixture, 1/2 cup at a time, stirring until liquid is absorbed before adding more, 35 to 40 minutes total. Doesn’t that look oh-my-stars good?!?! 4. Stir in Parmesan, sage, and 1 1/2 teaspoons salt. Serve immediately, garnished with more Parmesan and sage, if desired. (I added a few gratings of fresh nutmeg and an extra sprinkling of parmesan cheese. I also used one 15oz can of butternut squash puree instead of chopping a fresh one . Purée or even cubed frozen squash is my mommy tip, we gotta save minutes anyway possible ;) In using the purée, rather than saute in the saucepan, I added it after the wine was absorbed by the rice (you could also add to the broth mixture and incorporate that way, both ways work.) Bon Appetite! I love posts where you show your life. You never write about your life and it’s nice to see what you do. I begged my mom to buy the ingredients and she did and I tried to make it but it didn’t work out for me. I can’t cook. Not well at least. I don’t know what I did wrong. But I tried! Even though you are divorced your life is so beautiful. I can’t wait to read more.